Cakes are delicious but some of them are too sweet that it makes you want to puke. 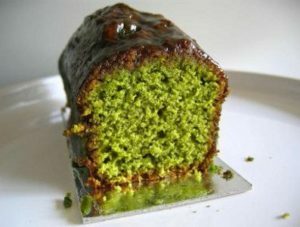 Now, Space Cake is a delicious cake dessert which has that extra-special something that makes it awesome: It is made with hash or marijuana for that nice little touch you are really looking for. What could be a better pair than weed and cake? 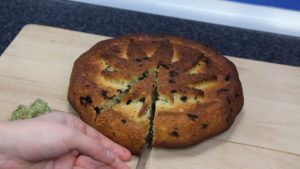 Below is a classic Space Cake recipe using hash. It is easy to make, tastes great, and it the perfect end to a great dinner or a rough day. Heat up your hash with a candle flame or cigarette lighter until you are able to crumble it up easily into a bowl; set it aside. Microwave the butter for 20 seconds or until it’s thick and pasty. Now you want to mix your crumbled hash in with about 4/5 of the butter; with the rest of the butter you want to grease your cake pan so your cake will pop right out when the time comes. Make sure not to over-butter the pan; you want a nice, thin coating on the pans inner surface. No more, no less. Now take your eggs, sugar, flour, milk, and hash butter and put them together in a medium or large sized mixing bowl. Mix all the ingredients together well, mixing for several minutes. You want to be sure to get the hash spread as evenly throughout the cake batter as possible to ensure “equal distribution”. 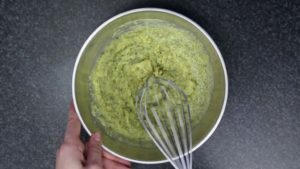 If while you are mixing the batter you find it seems too dry simply add a dab of milk; if it is too wet add a bit of flour. You will be able to achieve a perfect balance with practice; just make adjustments as you go. Pour the cake batter into the greased cake pan and spread the batter around with a spatula or wooden spoon until it is smooth and level. Place the batter in the oven for 25 minutes. Make sure you check this cake to make sure it is done just as you would any cake; a toothpick in the middle of the cake is fine. A clean toothpick is a cooked cake; if it isn’t done put it in for another 5 minutes and check it again. Ice it or put powdered sugar on it; do whatever you want to it. It doesn’t matter because you are going to eat it, share it, and love it! Start baking that yummy weed Space Cake today!